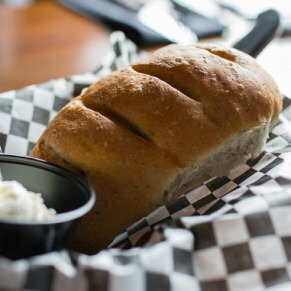 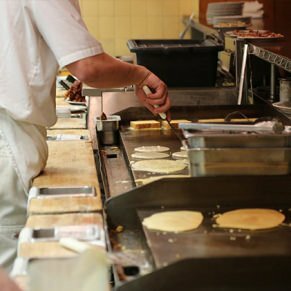 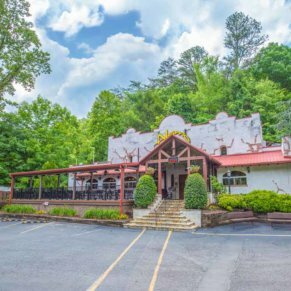 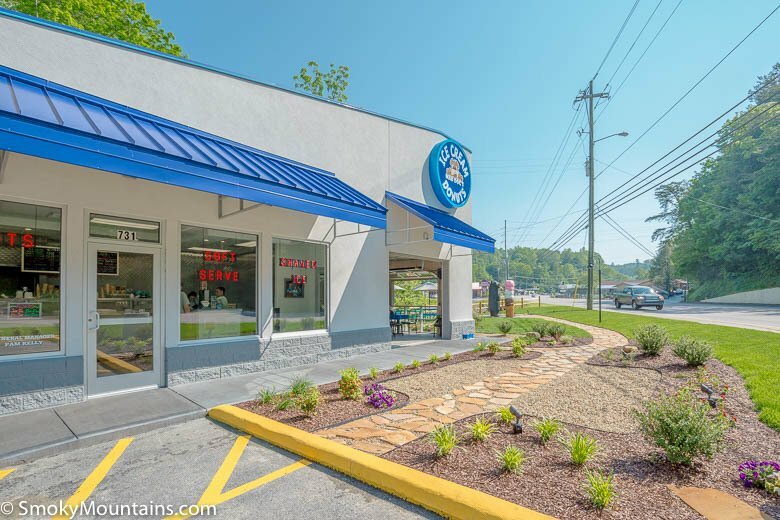 Mad Dogs Creamery in Gatlinburg is perfectly located, has plenty of parking, and ample menu options for all tastes. 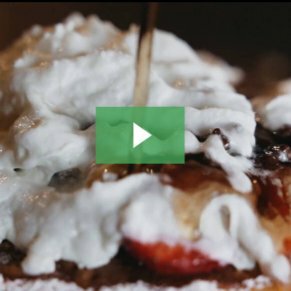 While the prices are a bit high, the free parking and tasty treats make this hip eatery a must. 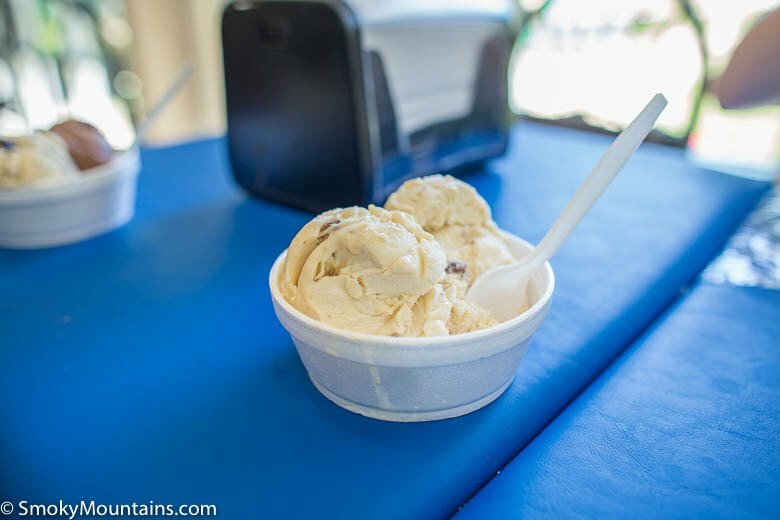 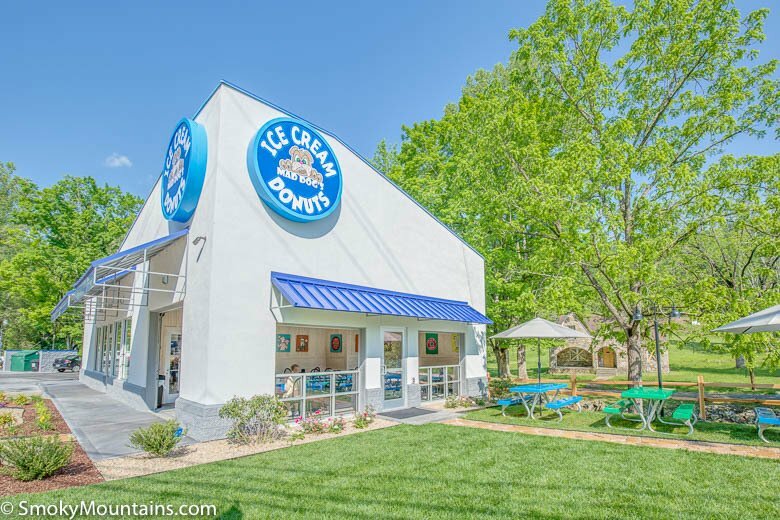 Mad Dogs Creamery in Gatlinburg is the newest dessert and sweet shop in the Smoky Mountains! 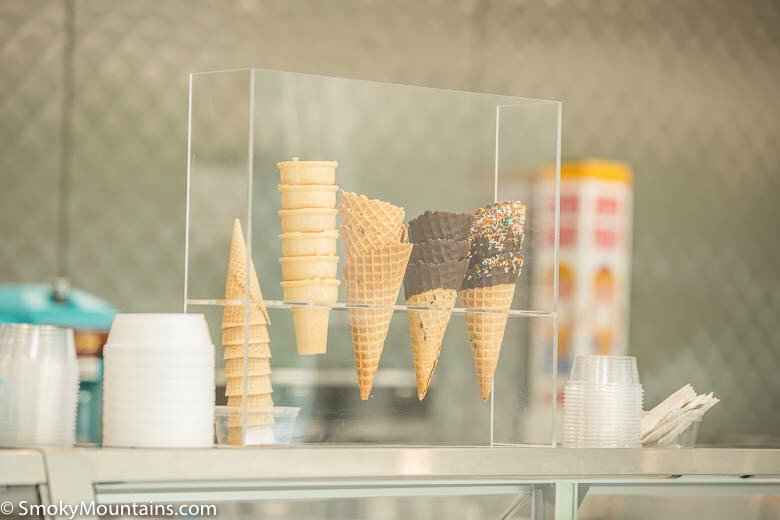 This hip and well-decorated eatery features something for everyone. 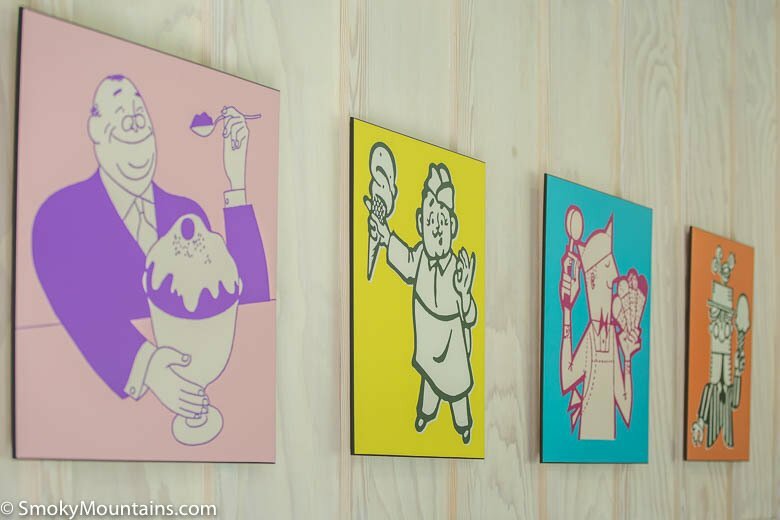 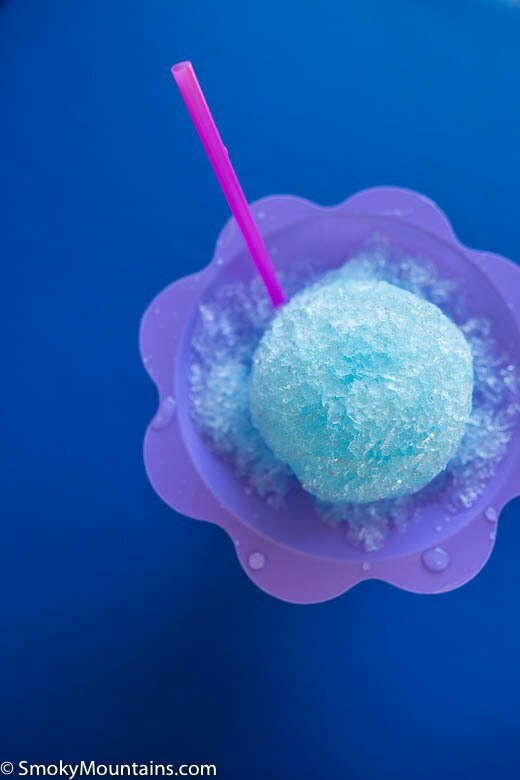 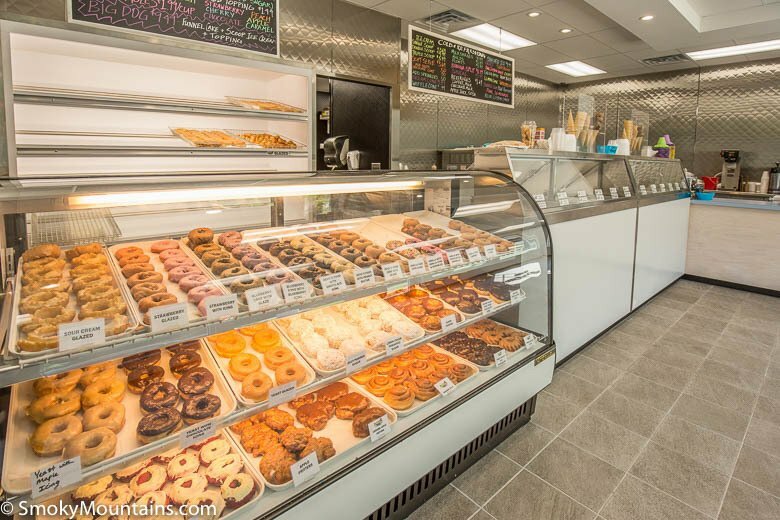 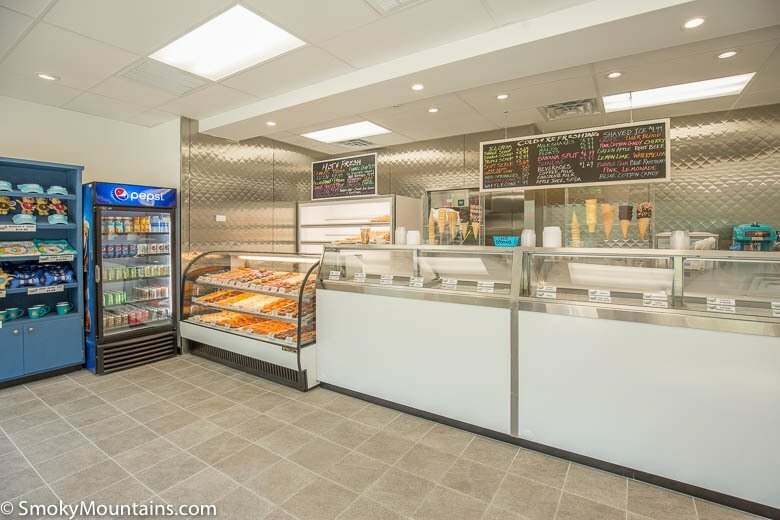 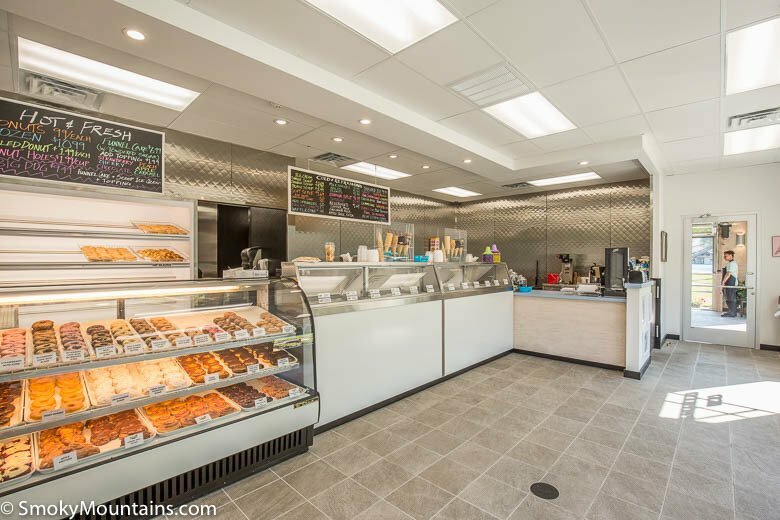 Whether you are looking for ice cream cones, dozens of donuts, banana splits, shaved ice, or an elaborate funnel cake topped in sauces and ice cream, Mad Dogs has you covered! 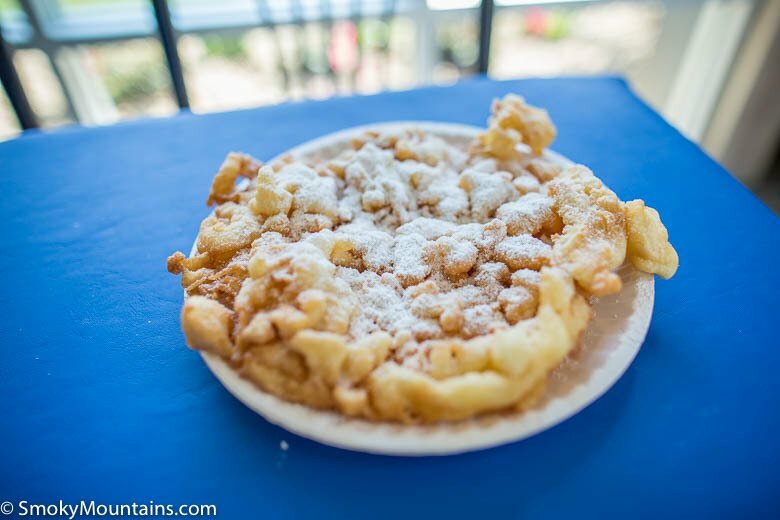 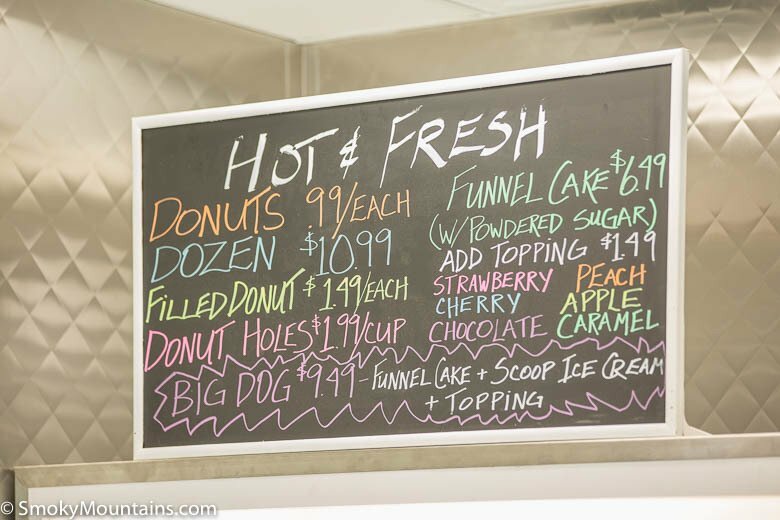 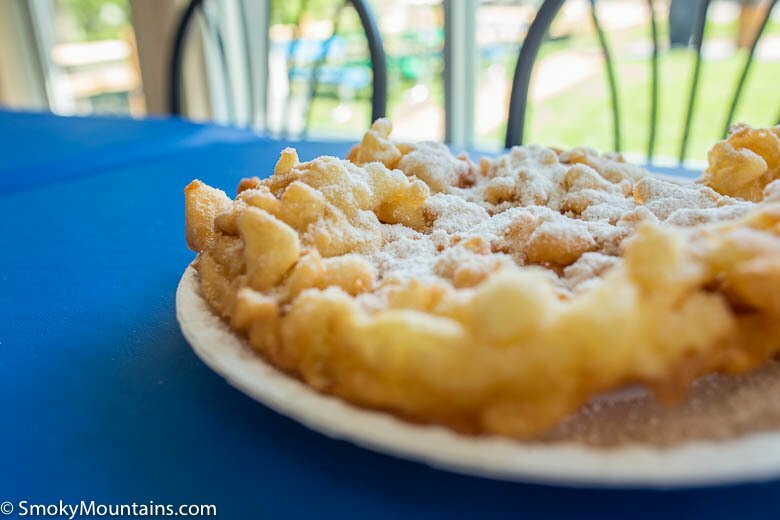 The prices at this eatery range from $0.99 for a donut to $9.49 for a large funnel cake topped with ice cream and toppings. 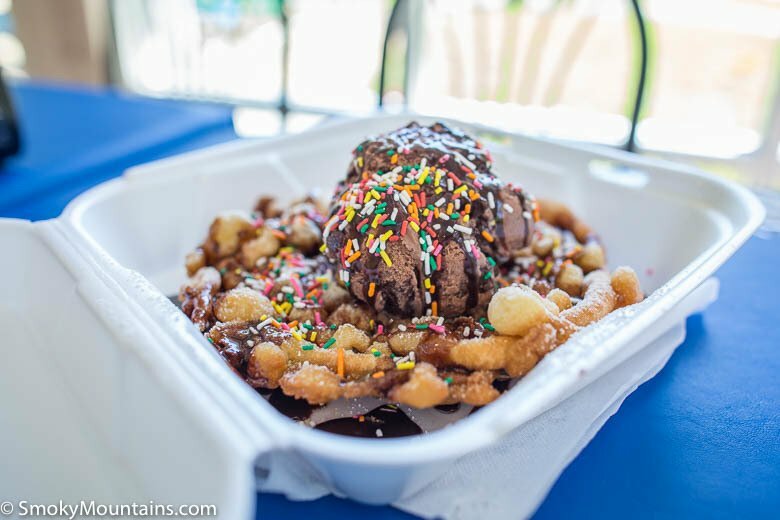 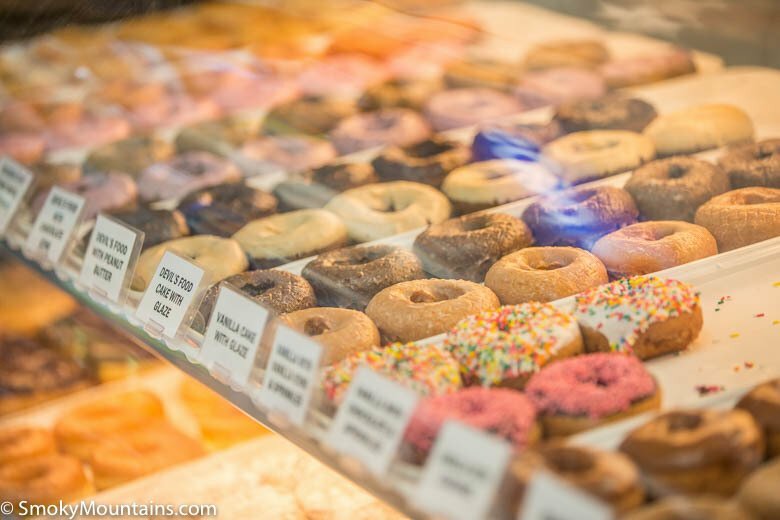 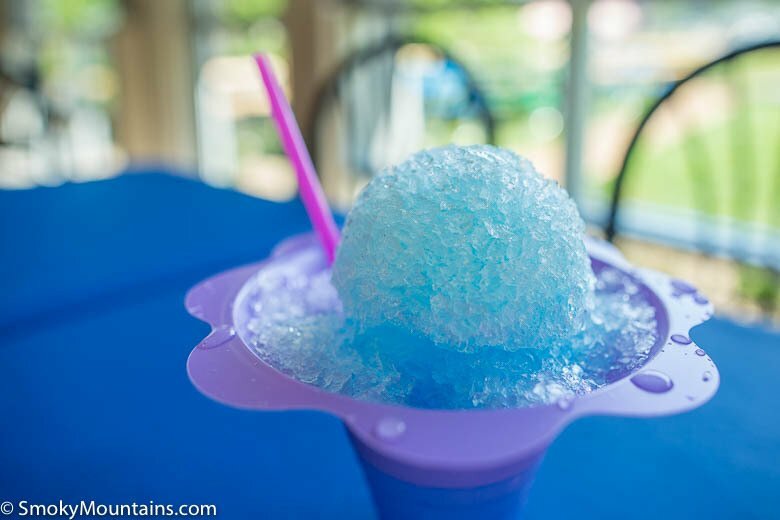 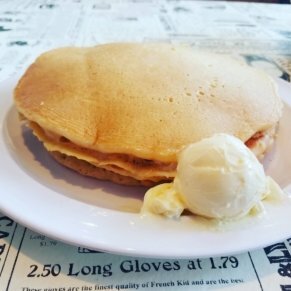 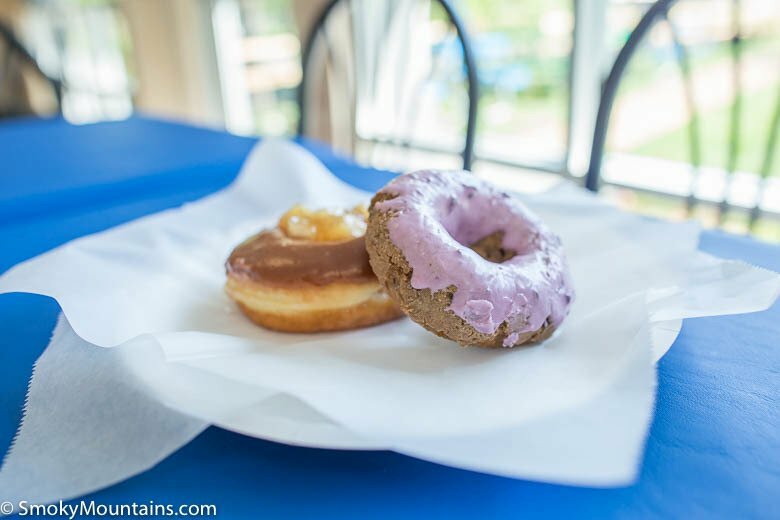 While most of the menu items are priced a bit aggressively for the area, the low priced donuts ($0.99), donut holes ($1.49 for a big cup full), and the very large three-scoop ice cream bowl ($5.99) that is suitable for sharing is perfect for people on a budget. 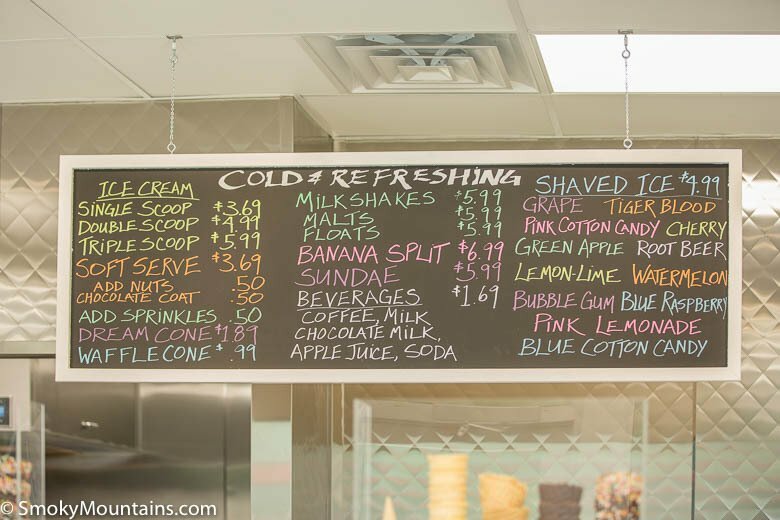 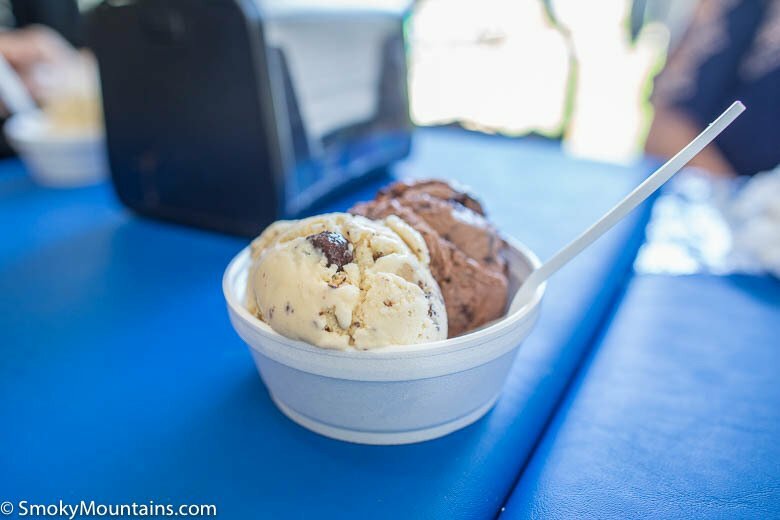 Unlike most of the downtown ice cream shops, Mad Dogs Creamery has TONS of free parking that helps take the sting out of the price. 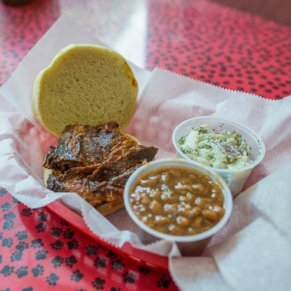 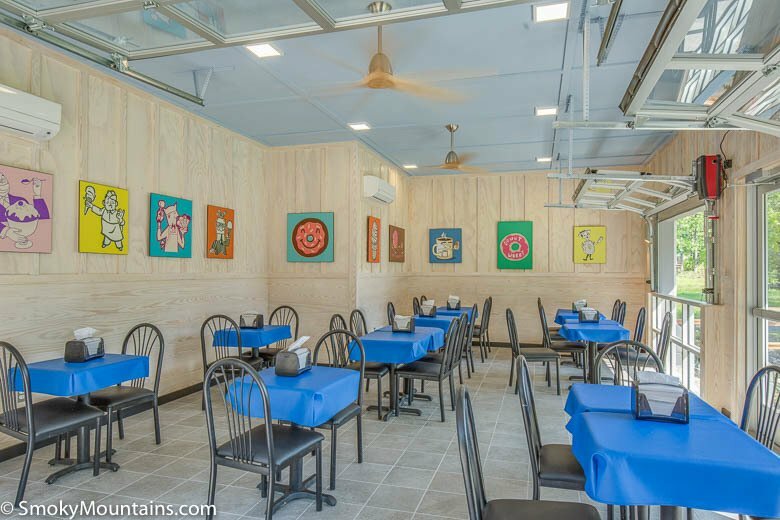 This brand new location offers guests plenty of indoor and outdoor seating. 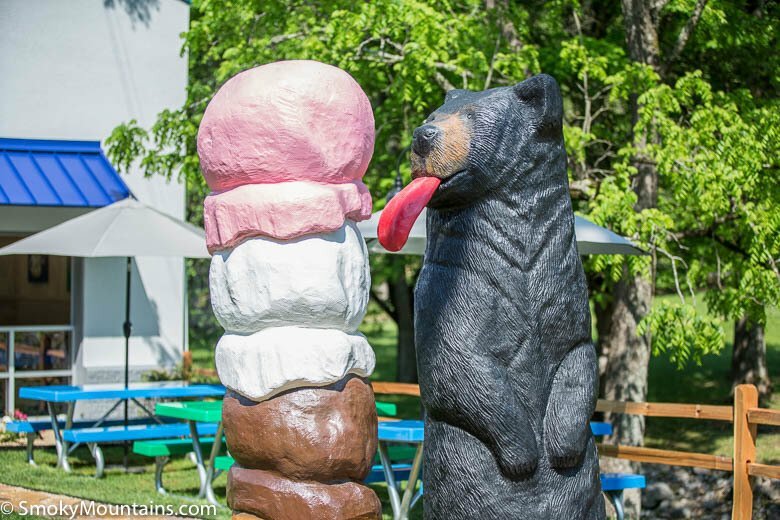 Children will LOVE the huge bear statue out in the yard and Mom and Dad are sure to enjoy the peaceful riverside location. 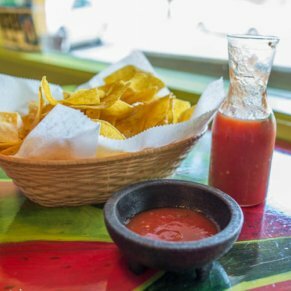 If you prefer to eat indoors, don’t worry. 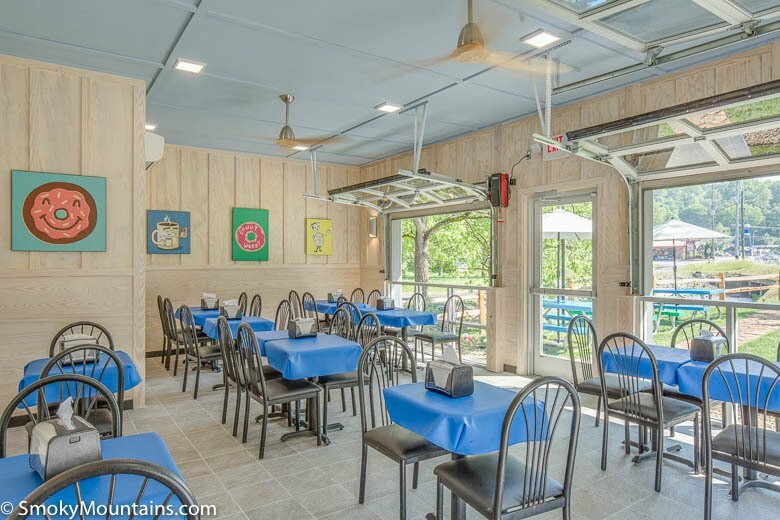 Mad Dogs has plenty of indoor tables as well. 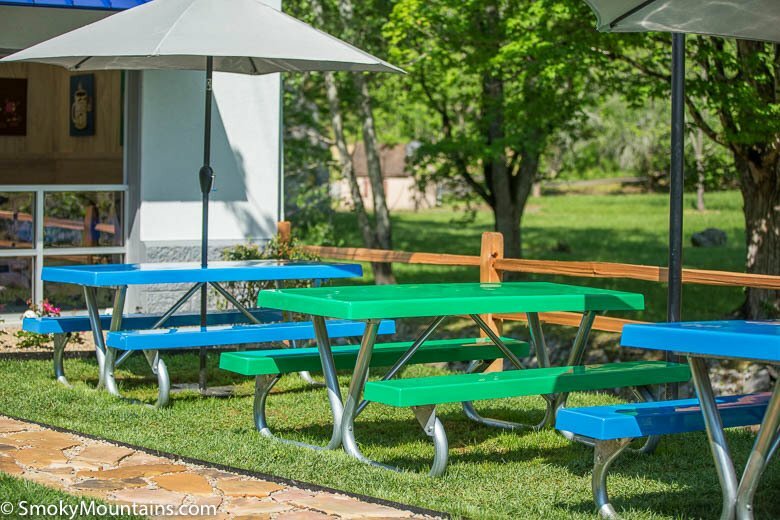 If you are looking for the perfect spot for a picnic lunch without a long hike, look no further! 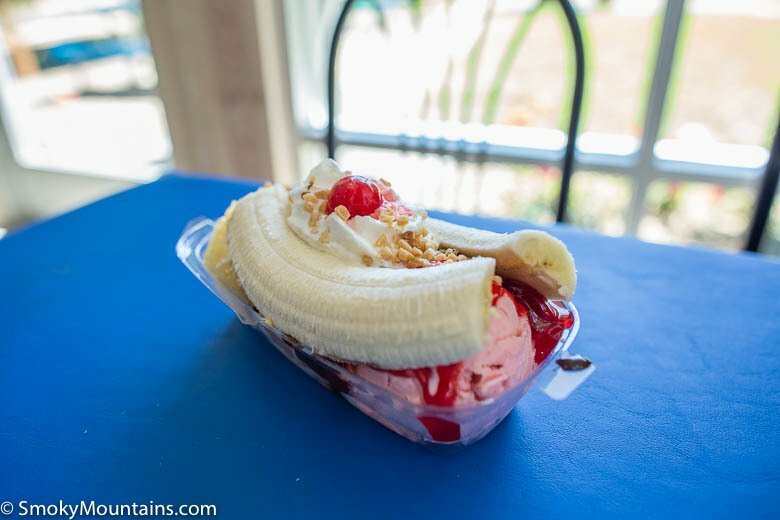 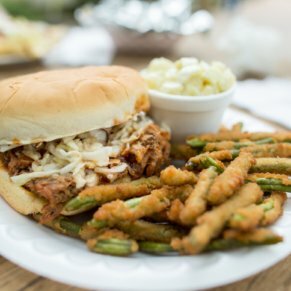 Pack your picnic lunch at your vacation rental and then buy dessert here! 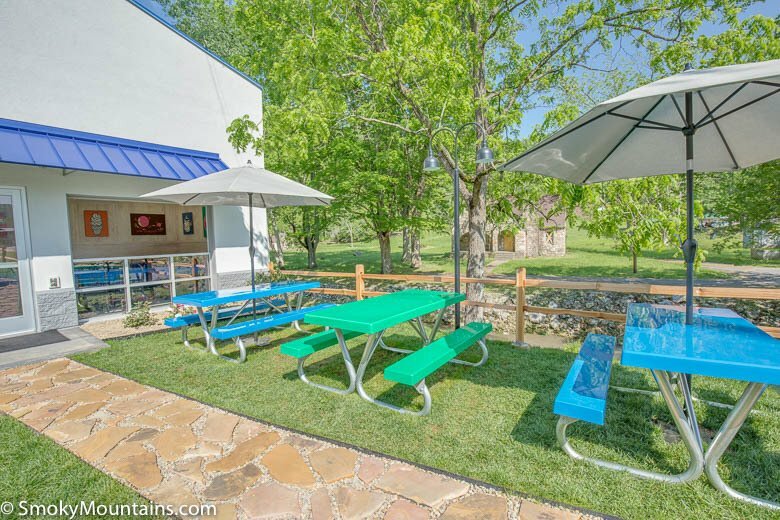 Mad Dogs Creamery has a beautiful outdoor eating area with picnic tables on a beautiful stream.